Participants have to shell out, oh, around $3,000 for this ten-day program. And they’re not guaranteed a slot. They have to submit writing samples first, to see if they’re worthy, I guess. And, in the FAQ section of the website, you learn: Participants stay in dorm rooms. Un-air-conditioned dorm rooms. Rooms do not have private baths. Baths are in the hallways. The dorms do not have elevators. There’s no parking. Breakfast and lunch are provided, but dinner, you’re on your own. Sorry, but I started laughing then. I’m thinking: Why would I want to shell out several thousand dollars for ten days of what will most likely be at least some self-flagellation as I listen to critiques of my work or hear talks on what constitutes great literary effort these days (hint: probably not my stuff) and get to add to this “pleasure” by sweating away the nights in un-air-conditioned dorm rooms with hallway baths, while paying extra for dinners and having no place to park my car? For less than a third of what Prestigious Writing Program costs, you can rent a beautiful, comfortable two-bedroom, two-bathroom, air-conditioned condo with great parking on the Bethany Beach coast of Delaware. There is no writing sample requirement for the BBBWP. You are, however, encouraged to bring with you your favorite book(s) about writing, from Anne Lamott to Stephen King, and any novels/short story collections that inspire you. Also bring a computer, as BBBWP does not provide any, but Wi-Fi is available in each condo. Rise early to view sunrise over the Atlantic. Return to condo for yoga, meditation on your own. Breakfast at nearby McCabe’s Gourmet Market on French pastry and coffee while engaging in amiable conversation with the Eastern European workers there. Return to condo for either: reading or writing. LUNCH in condo (in addition to bedrooms and baths and air-conditioning and parking, the condos also have fully equipped kitchens). Spend time on beach thinking about writing. DINNER ON YOUR OWN, either at the condo or at one of the many restaurants nearby. Most of these recordings, by the way, will have the advantage of being culled from the actual words of real editors and agents! So, sign up today and get your BBBWP certificate (of need), along with the T-shirt and name tag lanyard (which will not have the BBBWP name on it, but will carry the name of the resort so you can get into the pool and private beach). All kidding aside, if you do prefer the group experience with its promise of meet-ups with agents and editors, my advice is simple: Join Romance Writers of America (even if you don’t write romance) and go to a chapter conference or the big national one. You’ll find lots of supportive writers there. I’ve never come across a more supportive group of writers than those in RWA. They’re always eager to cheer you on, offer encouragement, suggest publishing routes and share information. As I said, even if romance isn’t your writing thing, you’ll still find something to like here and maybe, just maybe, a door will open. Unless you can be guaranteed one of those things — writing support and open doors — I’m not sure it’s worth shelling out thousands of bucks for any conference. But that’s just me. 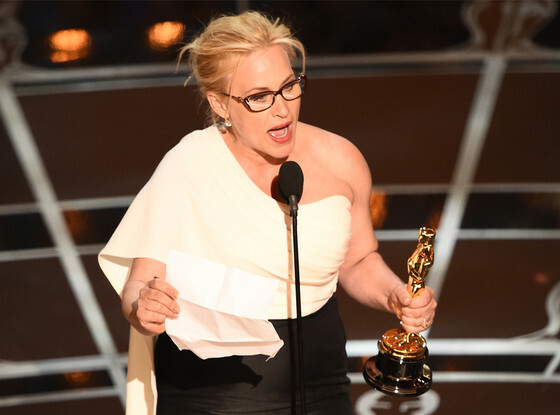 So, this happened: Patricia Arquette won the Academy Award for best supporting actress and used her moment at the podium to advocate for equal pay for equal work. Hear, hear. Meryl Streep gave a great fist pump, or some sort of gesture indicating endorsement. And who wouldn’t endorse such a notion, really? Of course, women should be paid as much as men for equal work! What a ridiculous notion that anyone would believe they shouldn’t be! But out in Hollywood, famous for its left-leaning politics, you’d think you’d find those thoughts in action. Not so. As the hacking of Sony records revealed, female stars (not just actresses but bona fide, household-name stars with box-office drawing power) were getting less than their male costars. Oopsie. I don’t think the pay gap is a myth, and I suspect most women don’t think so either. But count me among those who believe there are complex reasons for pay disparity, few of which are linked to outright discriminatory practices. In the CBS story, the expert noted that women business owners make less than their male counterparts often because they place more value on more flexible schedules and shorter work days/weeks, while men…just want the money. Throw in the mix an angle to the problem that possible Republican presidential candidate Carly Fiorina has been trying to draw attention to–seniority pay systems. Many unions use seniority to determine pay scale. Since a lot of women drop out of the full-time work force to rear children, this puts them at a disadvantage on the seniority scale. Fiorina argues that merit pay rather than seniority pay is part of the answer to some gender pay gaps. What’s the right response to the pay gap problem? Is it legislation? Or is it…education? Maybe a combination of both. I find utterly distasteful corporate policies that forbid employees from talking about salaries. It seems to me that’s a violation of free speech rights. Information is power, and, if women knew what others were getting paid in an office, they might speak up more for similar amounts for the same work. (Actress Charlize Theron did just that after finding out what her male costar was making on a film–she demanded and got the same.) But I also think women need to be coached, mentored, educated on how to stand up for themselves, how to fight the “I am not worthy” syndrome, how to apply for promotions, place value on themselves and learn, most importantly, when to walk away from a deal that isn’t so sweet. Women’s organizations would do a great service to their sisters by sponsoring such programs. Maybe many already do. This would be a far more serious effort to advance gender pay equality than some of the theatrics we’ve seen recently where pols on the left (who are guilty of paying women staff less than men, too) use the issue to bash pols on the right (who too often deny the problem). Women should be paid the same as men for the same work. But they shouldn’t wait for men to solve this problem for them. We’ve all been horrified, haven’t we, by the cruel executions carried out by ISIL? I can’t bring myself to talk about them, their barbarity is so horrible. And the question that dances around in my head is: What is to be done? Not on a national or global level. But what is to be done on a personal level? How does one confront such evil acts on the individual level, in the here and now, in our own lives? I’m too old to don a uniform and volunteer to fight to protect those who are in the path of this savage group. My thoughts instead go back to the gospel I’ve grown up with and embraced with more vigor as I age: Christ’s message of love. Love one another. But to think of loving those barbarians who perpetrate such evil, horrific acts? It’s a hard slog. Far easier to love the person who irritates you or whose views you don’t share. There’s a smugness in that kind of love that lets you feel…superior. No, it’s far harder to love, to even seek to love, those who have only hatred in their hearts. Hart’s point is apt. Depending on your political sympathies, you might point a finger of blame for Mideast turmoil at the leader you think (or thought) most feckless and least honest. But, come election day, the majority rules. Speaking of majorities, Christianity is still the dominant religion in the US, according to Gallup, but over the years, the percentage of people identifying themselves with any religion has declined, and the percentage who belong to a church or synagogue has gone down even more. Gallup’s numbers on this are here. All of this leads me back to the word of Christ, His message of loving one another. There are a multitude of ways to exhibit such love . My friends and family provide examples for me daily, and I hope I reciprocate in ways that make a difference to them. Where I fall down on the job most, I think, is in spreading the gospel to those who might be seeking a spiritual home. I suspect many of us fail in that regard, if Gallup’s numbers are a reference. We don’t know how to reach out to seekers and searchers. We’re afraid of offending or turning off a searcher, especially in an age where religious sentiment is often mocked and religious-minded Christians painted as being one step away from an intolerant brand of fundamentalism that few share. How does one evangelize in this secular, diverse time, where we celebrate tolerance and respect for other faiths — a good thing, a wonderful thing. But in our respect for other faiths and points of view, many of us have stopped celebrating our own beliefs. 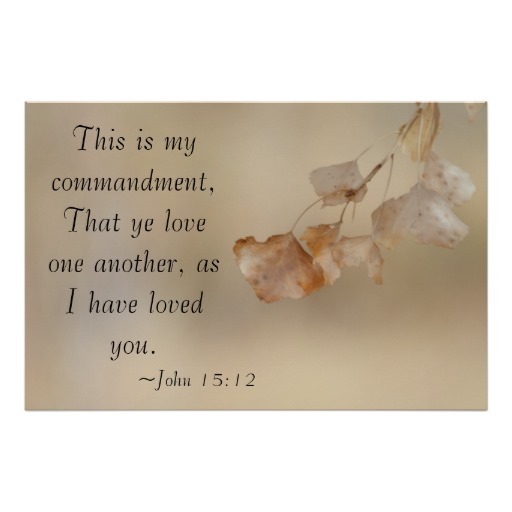 We think it impolite or politically incorrect to stand up and say, I’m a Christian, and Christ teaches us to love one another. Won’t you join me? Most mainline Protestant churches don’t do much evangelizing. The Catholic church doesn’t do much either. Oh, I know they all send missionaries overseas. But they don’t evangelize the way, say, Mormons do, going door to door. They don’t reach out the way evangelical churches might, on radio and television. It seems so déclassé, so outré, to engage in that kind of up close and personal religious persuasion. But maybe we Christians need to do more of it. Maybe we need to have the courage to stand up and actually talk about that message of Christ’s love and how essential it is in our lives. Maybe we need to…witness. So, yes, I’d like to be able to say to those cruel barbarians across the ocean the same thing: There is a better way. And, in my view, it’s the way of Christ. But if you find that better way on a different path from mine, I will still be able to see Jesus in you. I cannot join the fight. I can only try to express the love of Christianity in my own life. For those seeking such love, let me issue an invitation–try going to your local church or temple. Find one where you are comfortable. It might take a while. You might need to go back several times to get to know people and figure out how you fit in. My church is St. Edward’s Episcopal Church on Harrisburg Pike in Lancaster, Pennsylvania. There, you’ll find a loving group of people who’ll help you when you’re down but won’t badger you when you need to be alone. It’s filled with groups that try to do good by knitting shawls (the Knit Wits!) for those ailing in body and spirit, by feeding the hungry through a local food bank, by actually serving the hungry at a local shelter, by squeezing the hand of a friendly soul who is suffering an inner pain. We laugh together. Sometimes we cry together. We eat together. We worship together. We pray together. We love together. In the name of Christ, I ask you to come join us.